When I got out of college, my first professional job was as a juvenile probation officer. It was both awful and potentially dangerous. I briefly enrolled in a judo class just to have a skill that might help me protect myself. As it transpired, a very troubled kid happened to grab me in exactly the place on my neck we had practiced the night before. Completely by instinct, I flipped him­­—into one of those old-fashioned, free-standing, cast iron steam registers. He was taken to the hospital (for what turned out to be bad bruises and a small fracture), I gained an instant reputation for being badass, and I never went to another judo class because I didn’t want to be the kind of person who injured another. This brings me to Ferguson, Missouri. I’ve not beaten my chest over the shooting of Michael Brown on August 9, 2014, nor have I attended rallies demanding justice for him. It’s not that I think Brown deserved to die or that Officer Darren Wilson is innocent; it’s because I can’t be certain one way or the other. I wasn’t there. I got lucky when I had my little incident: my door was open and three people witnessed what happened. I also got lucky because if the kid had fallen in a different direction, he could have died. Was Wilson a racist who seized an opportunity to kill a black kid? That could have been the case—not just because it took place in Missouri, a state with a deplorable racist past, but anywhere. I’ve worked with police and I’ve seen enough to assert that you should not automatically respect the uniform—some cops are little Nazis hiding behind a badge. But many of them are what we want them to be: fine (underpaid) public servants trying to do their jobs the best they know how. Here’s another factor: Missouri isn’t Florida, a state in which criminal oversight is nearly as bad as its crooked-as-a-dog’s hind leg electoral laws. I’ve seen analogies between Ferguson and the George Zimmerman case. Just stop. They are not analogous. Florida’s stand-your-ground law was a disaster waiting to happen and it did. In Missouri, a grand jury is deciding whether or not to indict Officer Wilson for Michael Brown’s murder. That’s as it should be. Officer Wilson can only be tried in a court of law, not the court of public opinion. As I said, it’s entirely possible that Wilson is a racist murderer. It’s also possible, though, that like me he was in the wrong place at the wrong time and reacted in a way he wishes he had not. It’s also possible that Michael Brown attacked Wilson. He wouldn’t be the first kid to let his temper get the better of him, nor would he be the first to try to get some quick street cred by going rogue on a cop. There’s a video that raises doubts about Brown as an innocent victim. There is also blood evidence that needs to be sorted. Speaking of doubt, that’s the standard by which Wilson should be judged. He cannot be convicted for being a racist or overreacting; he’s only a murderer if the prosecution can convince a jury that the preponderance of evidence proves beyond a reasonable doubt that Wilson’s actions were either premeditated or reckless. If Brown grabbed Wilson, or if the blood on his uniform shows smear patterns consistent with being assaulted rather than splatter from a gun blast, Wilson’s defense team will have cast doubt on his guilt. Count me among the last people who think we live in a post-racial society. America tragically remains a nation of stark black/white racial divides. It’s understandable that millions of African Americans would assume Wilson’s guilt. But I must remind everyone that the law presumes he is innocent until proven guilty. Michael Brown’s death was tragic. It’s also a reminder of how far we’ve yet to travel down the road to equality. But we cannot erase past injustices by perpetrating a modern-day miscarriage. I know that my plea to allow the legal system to run its course raises the cynical hackles of many. How, they will ask, can one expect a justice system stained by institutional racism to give a black man a fair shake vis-à-vis a white man? I get that. But what’s the alternative? To throw Wilson under the bus to prevent angry riots? To make him personally responsible for centuries of racism? To allow public opinion polls to determine his fate? Do we do this even if he’s innocent? Here’s what I know: I don’t! I wasn’t there. Neither were you. Here’s another thing I know: sometimes things don’t go as you intended them to go. That makes one unlucky, not necessarily a bigot. And still one more: American racism is alive and well. 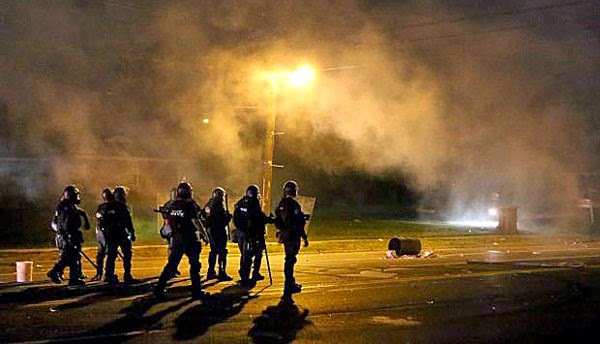 Who can judge which actually occurred in Ferguson? Not I. Not you. 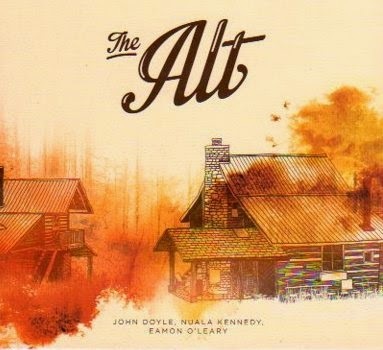 The Alt is an accidental trio that came together with a glorious result. Irish-born musician/vocalists John Doyle (guitar/bouzouki/mandola), Nuala Kennedy (flute/whistles), and Eamon O'Leary (guitar/bouzouki) have assembled a well-crafted album bookended by songs that highlight the glories of a capella three-part harmonies. The first is a thorough remaking of the well-known "Lovely Nancy," with vocals acting as prelude to Doyle's bell-like guitar cadences and O'Leary's lead vocal. The album closes with a surprising voices-only cover of "The Letter Song," a 1930's Kentucky ballad. Stuffed between these are nine wonderful tracks in which each musician deals from strength. O'Leary has the most 'traditional' voice of the three and you'll hear his hint-of-a-rasp tenor on "Lovely Nancy" and "Willie Angler," the latter recorded by Silly Wizard as "The Banks of the Bann." Doyle's voice is lighter and his tones such that he naturally imbues songs with melancholia, no matter the subject. You'll hear this to fine effect on "Going for a Solider" and "The Eighteenth of June." Nearly everything on this album has been mined from old songbooks and Doyle's songs are no exception. The first is one of many reluctant warrior songs in the Irish tradition, but The Alt give it a faintly maritime feel, with Kennedy's rolling flute enhancing the mood. "Eighteenth of June" is a Battle of Waterloo song in which lyrics, instrumentation, and feel inhabit the sadness, madness, hope, and tragedy of war. Kennedy has the most delicate voice of the three, perfect for slower material such as "One Morning in May" and the Scots Gaelic "Cha Tig Mór Mo Bhean Dhachaigh," a man's lament for his deceased wife. Today's challenges to covering traditional material include making it fresh enough for younger folks with less experience with non-processed music whilst making it different enough so that diehards aren't tempted to draw comparisons. The Alt negotiates those slippery slopes with great aplomb. For example, "The Geese in the Bog" set is two jigs in F# minor that Ms. Kennedy soups up to the degree that her flute commands you to dance. She does this by smoothing out the edges so that the cadences flow and meld. Later, on "The Green Gowned Lass" set, she, O'Leary, and Doyle take three already fast reels and slow them ever so slightly to give them the punctuated feel of jigs. Nice touch–and very typical of the best accidents I've witnessed in some time. PS—The Alt moniker is not an attempt to be hip; it's lifted from a Yeats poem.